This is the second image of a tryptic of a happy little cluster of Crocus flowers pushing up through a late spring snow. A cheery harbinger of spring thumbs its nose at a late snow and gives a renewed sense of hope of warmer days to come. 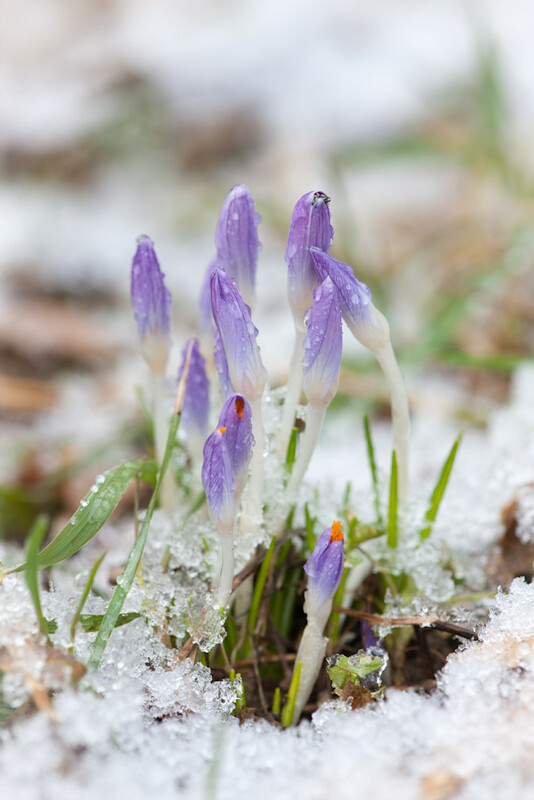 Fresh Crocus (Crocus spp) flowers and leaves pushing up through a fresh snow-fall.